Lauren Frary has been with The Arc since 1990, providing direct services in a variety of capacities: Family Support Coordinator, Acting Director of Employment Services (on two occasions), Support Specialist, Assistant Director of Residential Services, and Manager of Respite Group Home. 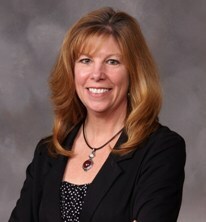 She was promoted to Associate Executive Director in October 2006, and promoted to Executive Director in January, 2008. Lauren attended Rutgers University, where she earned a B.A. in Psychology. Shortly thereafter, she attended Montclair University where she earned a M.A. in Guidance, Counseling and Educational Leadership. In addition to her degrees, Lauren also holds a NJ License as a Rehabilitation Counselor, a certificate in Family Therapy for the NJ Center for Family Studies, and a certificate in Social Work. Most recently, Lauren has become an adjunct instructor at Raritan Valley Community College, teaching the "Introduction to Disabilities" course in the Humanities Department. Along with her work at The Arc of Somerset County, Lauren has worked with several NJ school districts as a grant writer and project manager. She specialized in writing grants that helped students with special needs use assistive technology to become more integrated in the regular education classroom. Lauren has also worked as a consultant, providing training and support to staff members who work with individuals with challenging behaviors across the state of NJ. Active in her home community, Lauren is a youth Soccer Coach, active PTA member and a trustee on the Board of the Bethlehem Township Performing Arts Association.